The qualitative market entry point begins with a trading plan and ends with the calculation of the position size. If the risk in each trade is determined as a percentage of the current capital, then you will not be able to destroy the trading account at all. At the same time, if the market moves in the desired direction during several trades in a row, the profit potential can grow significantly. Calculation of the position size is also as important as an entry point in the right direction or a competent determination of targets and market exit points. In this article, I’ll tell you about the formula for calculating the position size. It is uncomplicated and can be easily applied in short, medium and long-term trading. I’m sure that its use can make your trading results more predictable and it will allow you to become a more competitive trader. The formula is universal and can be applied in any market. It allows you to get the position size, expressed in contracts. These can be lots if it is a spot market (Forex) or futures contracts. The most important thing is that as a result the position size will be received, fully consistent with the declared appetite for the risk and taking into account the condition of the trading account and market realities. We will analyze each element of the formula separately. Capital is the amount of funds allocated for trading in the current market, taking into account the risks of open positions. In other words, this is a trading capital minus the highest possible losses on previously opened positions. Even if open positions generate floating profits at that moment, but in case of negative development they can still become unprofitable, you should take them into account. This will maximize the benefits of the dynamic risk per trade calculation and protect the trading capital. Risk as a percentage of capital is the risk per trade, expressed as a percentage of the capital allocated for trading in the current market. Before proceeding to the calculation of the position size, it is necessary to understand what share of the trading capital you are prepared to risk in each trade. If we are talking about conservative trading the risk most often can reach 2% per trade. Moderate trading implies more considerable risks, for example, 3-4% of the capital per trade. All trade risk values, exceeding the above ones, classify the trading as aggressive. Risk as a percentage of capital must be determined independently for each trading account and the market where it is planned to trade. If you just begin to study the trading process, I recommend to use the lowest risk values per trade, not more than 1-2% of the capital allocated for trading in this market. Apart from this, new traders should not trade more than one trade a day. This will simplify the process of calculating the risk per trade, as well as force to be more careful when choosing the financial instrument to enter the market. The given number appears in the numerator of the formula for calculating the position size only in order to convert the risk value as a percentage of capital to the appropriate format to be used in the formula. In the denominator there is the risk in points, that is the distance between the market entry point and the potential market exit point with an acceptable loss. Most often, this is the stop-loss order placement or the level at which you are going to exit the market if the price moves in the unfavorable direction. Such point has to exist and the risk in points must be calculated before entering the market. If you calculate the risk per trade after entering the market, you probably do not know what it is equal to. This is unacceptable since such attitude to the trading account can lead to the unplanned and significant losses. Let’s take an example. Suppose the market has been closed above the resistance level, resulting in a signal to buy. The possible entry price is equal to 101.00. The most favorable point for placing the stop-loss order will be slightly below the nearest support level of the current timeframe. In our example, the stop loss can be set at 98.89. The distance between the entry price and the possible market exit price with an acceptable risk can be calculated as follows: 101.00 – 98.89 = 2.11. In order to convert this value into points, you need to divide it by the size of the point. In the given example, after looking at the price, you can see two decimal places, hence the point is 0.01. The risk in points is: 2.11 / 0.01 = 211. Please note that regardless of the financial instrument or market, the point is one hundredth (0.01) or one ten-thousandths (0.0001). The risk in points is the distance between the entry price and the exit price in case of an unfavorable scenario. If you use a stop loss the risk in points is equal to the stop loss in points. This variable indicates the profits or losses that are generated in the trading account after a standard contract purchase in case the market moves one point. For most financial instruments, this value is fixed, and it can be easily found on the broker’s website. For example, the standard contract in the US stock market is often equal to 100 shares and the point value for a contract is $1. In other words, while purchasing one contract in the stock market, one point movement (0.01) will generate a profit or loss of $1. One dollar is the point value for one contract. It’s a value that can be used in the formula. 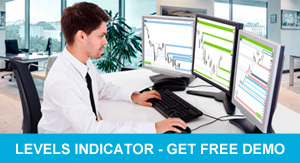 In the Forex market, the pip value for the most popular currency pair EURUSD is $10. If you purchase one lot, which size is €100,000, one pip movement (0.0001) up will gain a profit equal to $10. Thus, the pip value for one contract in the Forex market for the EURUSD currency pair will be $10. Suppose the capital for trading in financial markets is $2000. The above-mentioned buy breakout signal appears in the market on the USDJPY currency pair (Figure 3). Positions on this trading account are opened quite infrequently and the acceptable risk as a percentage of current capital is 3% per trade (on a single trade). The risk in points is 211. The pip value for one contract of USDJPY when writing the article is $9.15. It’s impossible to open a position of this size in this market, so we’ll round off the received value to the nearest acceptable. It’s 0.03 of the contract. If the acceptable risk as a percentage of capital is 3% in this trade, it is necessary to open a position with the size of 0.03 of the contract. If the trade is closed at a loss, its amount will be: (211 * 9.15) * 0.03 = $58, which equals 2.9% of the capital. Due to the rounding of the position, an error occurred, however, you can see that the formula allows you to trade with a known before and acceptable level of risk. In the Forex market, you can trade in decimal values of contracts, for example, to buy 1.63 or 0.82 lots. The more the trading capital, the more accurate the calculation of the position size will be. Nevertheless, in most cases, it will be necessary to round off the value received. If you trade in the market where such split is not possible, but the required position size for the market entry is less than one standard contract, you have to look for a contract of a smaller size. For example, to open a position with several mini-contracts, mini-futures. The second option is to look for similar futures in other countries or in other markets. Sometimes you can find a very appropriate instrument with a standard contract less value (Figure 4). If you cannot find the required size then, according to the trading plan, there is no market entry, since it is impossible to open a position with a planned level of risk. The formula for calculating the position size allows you to get the optimal value for entering the market. It considers the current capital with floating profits and losses, the appetite for risk, market realities and the point value for this financial instrument. The formula allows you to use every cent efficiently. An effect similar to a compound interest is realized on the trading account. The yield curve becomes as close to the vertical as possible when a number of profitable trades are closed in a row. At the same time, risks and possible damage to the trading account are reduced in case of several unprofitable trades in a row. A trading account collapse becomes an impossible task. The formula is universal and can be applied in any markets and timeframes during the directed trading. I’m sure that its application will make your trading results even more impressive.